Spring is here and so are the fleas — are you and your pets ready? 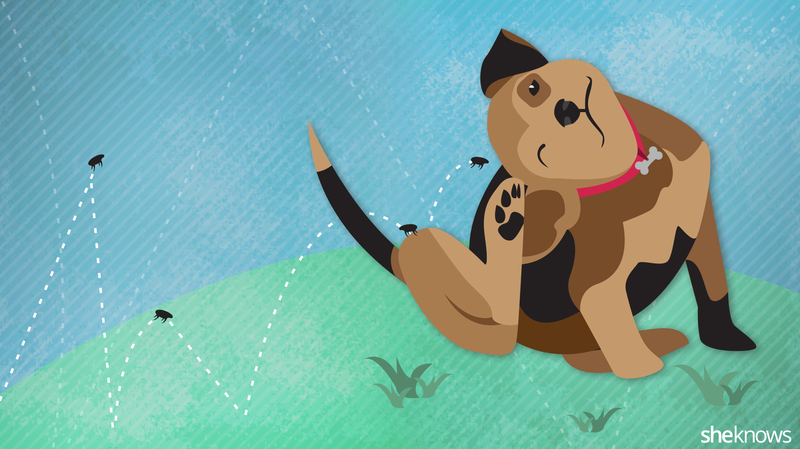 There’s one word that every dog owner finds universally frightening: fleas. It’s funny how such a tiny bug can be so panic inducing, but if you’ve ever dealt with an infestation, you know it’s scary, and you know you never want to deal with it again. So with summer approaching and lots of outdoor plans that include my dog, Max, I approached my vet about my options for flea prevention. I expected a short and simple answer, but instead got a long list of options and prices. There are collars and sprays, drops and shampoos, even pills. They all treat fleas, but in different ways and with different levels of effectiveness. And listening to her rattle it all off just started to sound like a foreign language. Huh? So, I went home, ready to do my own research and said I’d call her when I made a decision. I’m glad I did, because there’s actually a lot I didn’t know about the options, and that she probably didn’t have time to explain during our short visit. In the end, I decided to go with the oral medication. It’s more costly than the other options, but it’s less toxic, which makes sense in a home with young children, and it doesn’t involve me trying to wrestle a squirrely min pin to the ground for any kind of treatment. More: Tick season is here — are you and your pets ready? The other options may make more sense for you, depending on your dog and your situation. It’s just important that you weigh all of your options and know the risks and benefits before making a decision.